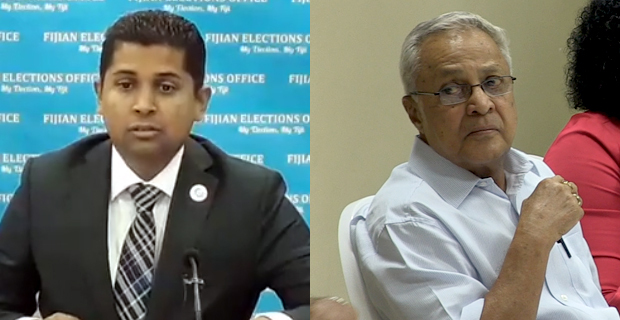 Supervisor of Elections, Mohammad Saneem has again called on Fiji Labour Party Leader, Mahendra Chaudhry to come forward and provide evidence to prove his allegations that the 2014 elections was rigged. 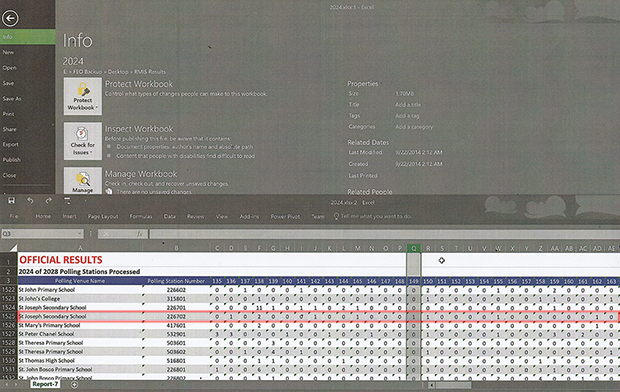 While releasing the actual Excel Sheet from the results in the September 2014 election showing Lavinia Padarath’s 1 vote at Saint Joseph’s Secondary School polling station, Saneem said that if Chaudhry does not have actual evidence then he must apologize to the people of Fiji. Saneem says that it is irresponsible of Chaudhry to make such comments. The Supervisor of Elections says Chaudhry is misleading people by saying that FLP’s Lavinia Padarath voted for herself in the 2014 general elections at the Saint Joseph’s Secondary School polling venue but her 1 vote was not shown in the results. Saneem says Chaudhry’s claim is totally false as 1 vote is recorded for Lavinia Padarath in the 2014 election at the Saint Joseph’s Secondary School polling station. He says people can also see this on the Fijian Elections Office app. When questioned on whether he will provide evidence, Mahendra Chaudhry said yesterday who is Saneem to give him a deadline. FLP’s Aman Ravindra Singh says Mohammed Saneem should write to Chaudhry rather than giving the FLP Leader a deadline via the media. Singh says they will not say anything until they get something formal from the Supervisor of Elections.